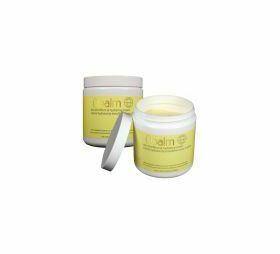 Minimum quantity for "ubalm yellow skin hydrating cream - Buy 2 Jars (and get the 2nd for 1/2 price)" is 1.
ubalm yellow is formulated to soften, soothe, and replenish the driest cracked, scaly skin. It acts as an emollient and moisturizing cream. This unique blend with aloe and lanolin is fortified with antioxidant vitamins A & E and vitamin D. ubalm yellow is recommended for use on all dry skin areas including hands, arms, elbows, legs, feet, heels, and tummies. It is absorbed quickly, is non greasy and does not wash off. 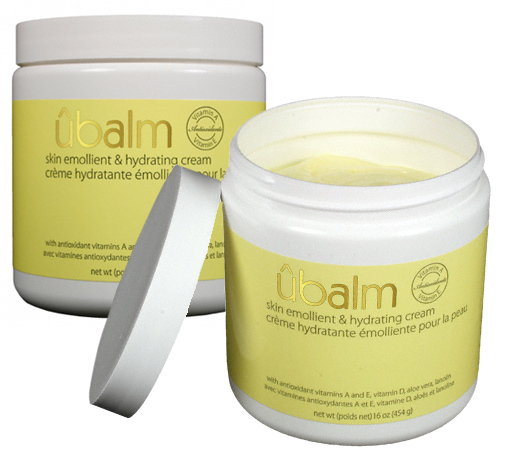 Directions: apply ubalm several times daily or as needed to soften, moisten and replenish cracked dry skin. Dry, cracked and chapped skin is a major everyday problem for millions of people. Our basic formula's are based on years of cosmetic experience with ingredients proven to work. We do not promise the world with "exotic" ingredients such as bees nectar, volcanic dust, seaweed extract, peanut oil or other unproven ingredients. We believe that you deserve a unique formulation that works, without the hype and useless exotics.You deserve the ultra soft skin that our balm provides! All manufactured in the U.S.A.